Connexionz was proud to take part in numerous industry shows to close out the conference season. 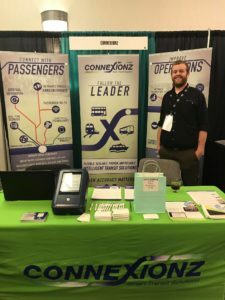 In addition to following up on our usual places in the CTAA Expo and in June the VTA, Connexionz committed to major sponsorships of California Transit Association, CALACT, and Oregon Public Transit Conference all within the last few months. These conferences bring great opportunities to strengthen and grow our relationships in the transit community. We are happy to support these industry-leading events. 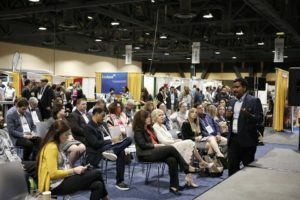 At the CALACT conference in Napa last month, Connexionz was honored to present a session alongside Pasadena Transit. The vendor relationship “After you sign” opened an interesting discussion about which values on either side of the pen will keep a current contract executing well and providing results for the agency. Sebastian Hernandez from Pasadena Transit joined Brian onstage as we discussed what has made the difference for the project at Pasadena. Trusted by transit agencies globally, Connexionz delivers proven and reliable ITS solutions. With our 20 years’ experience of developing innovative bus and ferry applications and modern interchange designs, you know you’re in safe and expert hands.